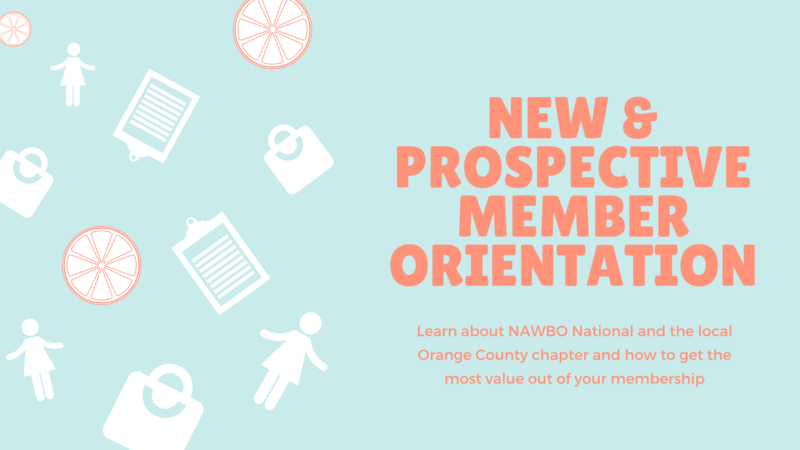 Join us virtually and learn more about how NAWBO OC helps women business owners! New & Prospective Member Orientations are hosted online via Zoom. Once registered, you’ll receive a link to join.